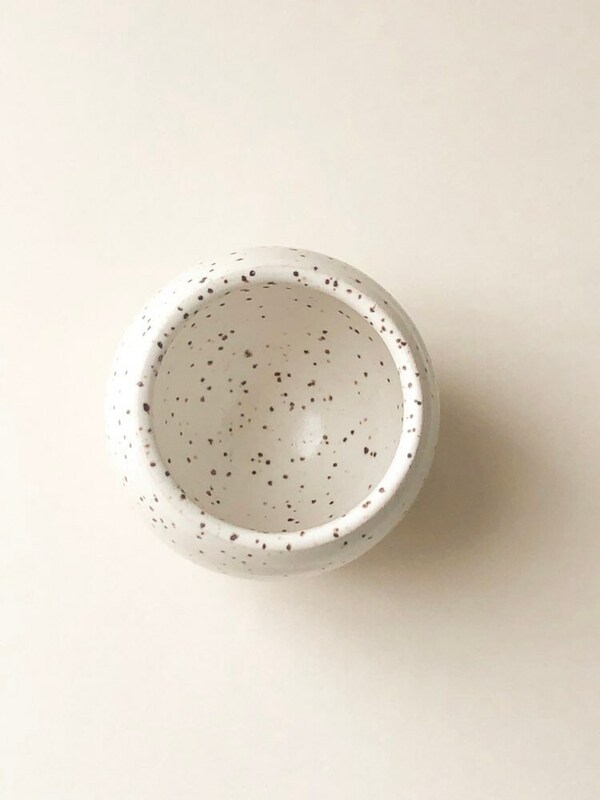 Hand thrown on the potters wheel and made out of stoneware speckled clay, this little vessel match striker will make a perfect gift for anyone . 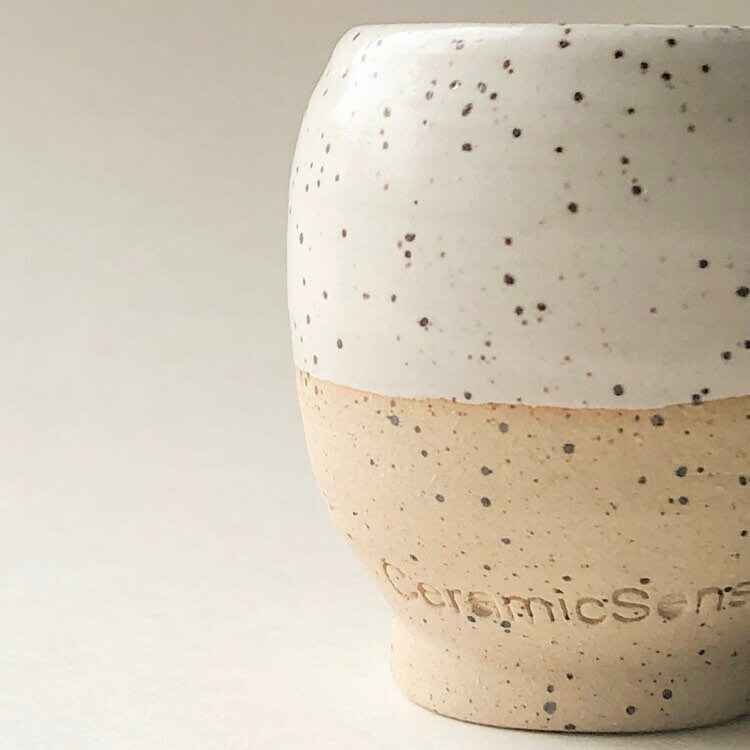 Entirely handmade, and dipped in beautiful satin white glaze and burned to high temperature to vitrify. 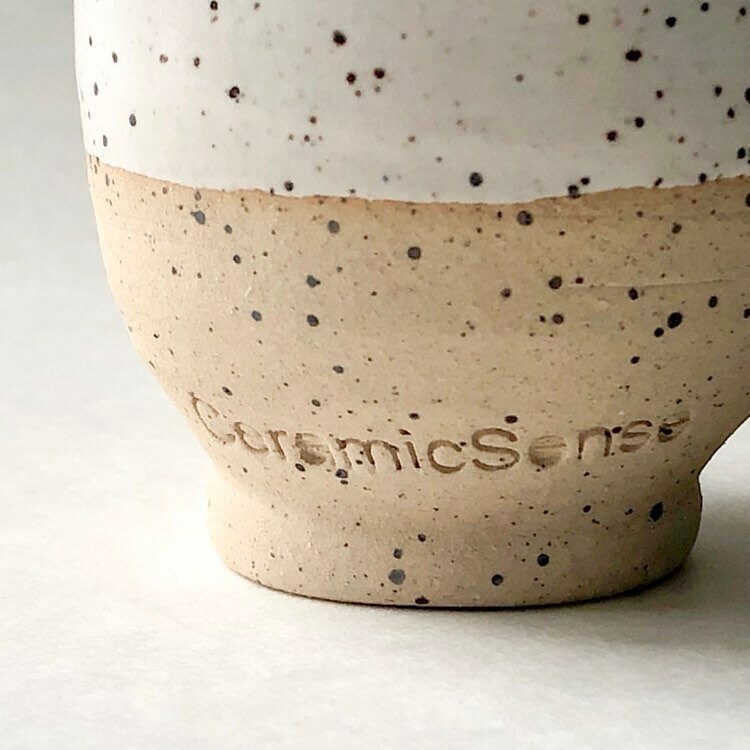 The bottom of the piece is left unglazed to create a great surface for match striking. These strikers hold around 30-40 matches, and must be used with Strike Anywhere matches. Unfortunately due to shipping regulations MATCHES ARE NOT INCLUDED. You can buy a large box of Strike Anywhere matches on Amazon. I do recommend Diamond brand, strike anywhere matches. 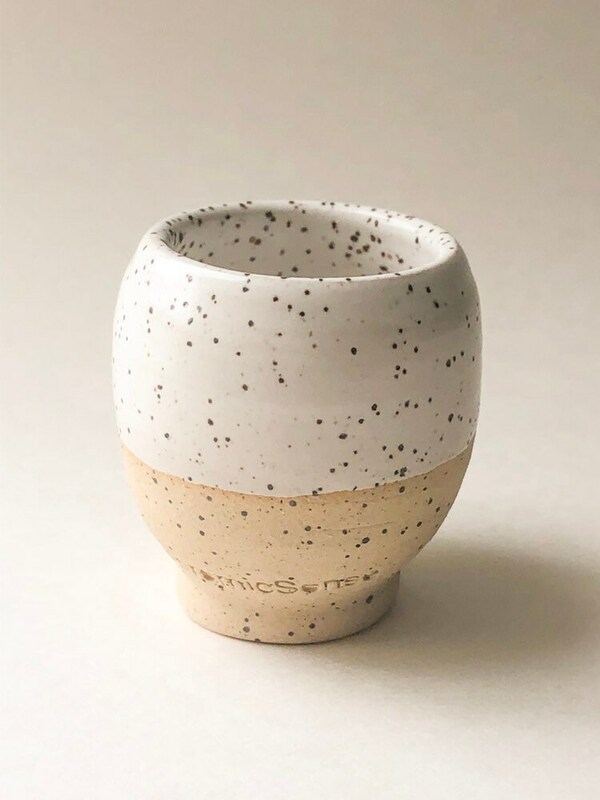 Use it in your Dining Room to light candles for a romantic dinner , your Living Room, Family Room, Backgarden by the fire pit, Meditation Room, Bathroom or anywhere else you light candles or incense. 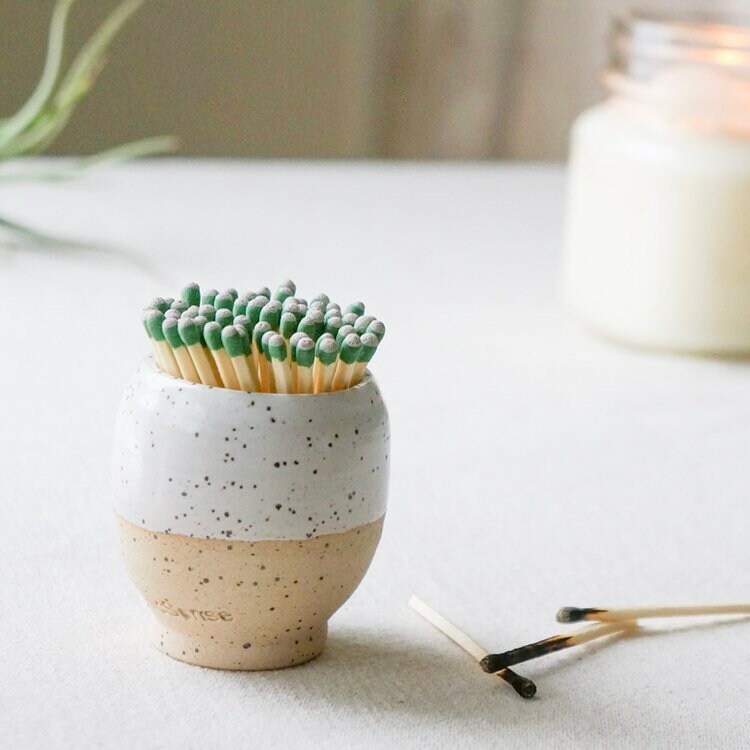 One in your kitchen by the gas stove, on your Fireplace Mantle or anywhere you may want an attractive, easy access to fire at your fingertips. It looks and feels much better than cheap plastic lighters by your candles or by the fireplace.